Toner cartridge offers professional print quality, consistent performance, easy-to-use design, and dependability. It features an innovative toner and cartridge design that supports fast, reliable, high volume printing. 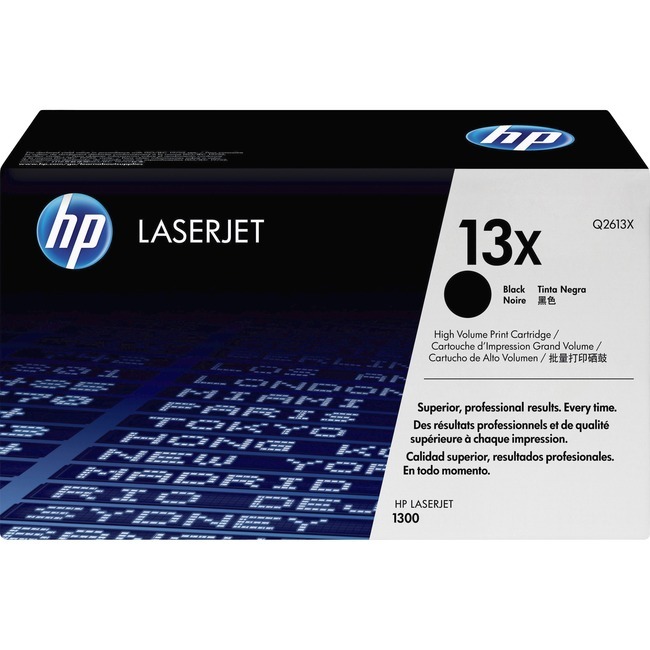 Print cartridge components are precisely matched with HP LaserJet 1300 printers to ensure these supplies deliver crisp, sharp results every time for professional business users. Smart printing supplies work together with the printer to monitor print quality and supplies levels to prevent unexpected downtime. High-yield cartridge yields approximately 4,000 pages.